I have always loved cherries. It’s one of my favourite flavours, so it’s no surprise that I’m also a big fan of kriek, the Belgian cherry beer. I inadvertently started amassing an army of bottles of the stuff early last year. I’d buy one and stick it in the cupboard, thinking to drink it at a later date, and then a few weeks later I’d see another good example. Suddenly I had enough that it made sense to try them side by side, to compare and contrast. So I bought more, but didn’t find an occasion to drink them. Soon I had collected over three litres of kriek, and it dawned on me that there was no way I could drink this all by myself in one sitting. The idea of tasting samples but pouring away the rest was too much to bear, so I decided to enlist some help. Luckily I know a couple of fellow beer sommeliers in training, Rebecca Pate and Natalya Watson. Tasting and comparing notes together would be useful revision for us – yes: beer as homework, people! – and so it was that we gathered at Mason & Company in Hackney Wick on a surprisingly busy Monday night in January, to taste and evaluate a tableful of bottles of kriek. Kriek is a cherry beer brewed in Belgium. Traditional kriek is based on lambic beer, which undergoes a secondary period of fermentation and barrel ageing over Schaarbeek cherries – an extremely sour variety of Morello cherries that originates from a tiny area of Pajottenland, west of Brussels. The best krieks are fermented over the whole fruit, pits and all. The flesh and skin of the cherries impart their colour to the beer as well as their sour fruit flavour, while the pits imbue the beer with an almond-like character. The wild yeasts found on the cherries and in the barrels impart the complex earthy aromatics associated with natural fermentation. Krieks are then blended with a further portion of young lambic to restart the fermentation process, which provides the carbonation in these mainly bottle-conditioned beers. The sourness in freshly-blended krieks is usually balanced to be about the same intensity as that of the fresh sour cherries. Not all krieks are made in this way however. There are brands on the market made with sweetened cherry juice, cherry essence, and syrup added to pasteurised beers. These are less authentic – but can be pleasant enough in their own way. OK, but what about an oude kriek? As far as I can tell, this all goes back to the gueuze on which a kriek is based. Some brewers, departing from tradition, sweeten their gueuzes, using Aspartame, among other things, in order to have their beers appeal to a wider audience. Brewers who keep to the traditional methods use the term oude gueuze to refer to their original, unsweetened version of the drink, made from a blend of two or more 100% lambic beers. This definition now has legal weight behind it, with the terms gueuze and lambic being protected under Belgian and EU law. An oude kriek, then, is one made with only 100% lambics as its underlying beers. 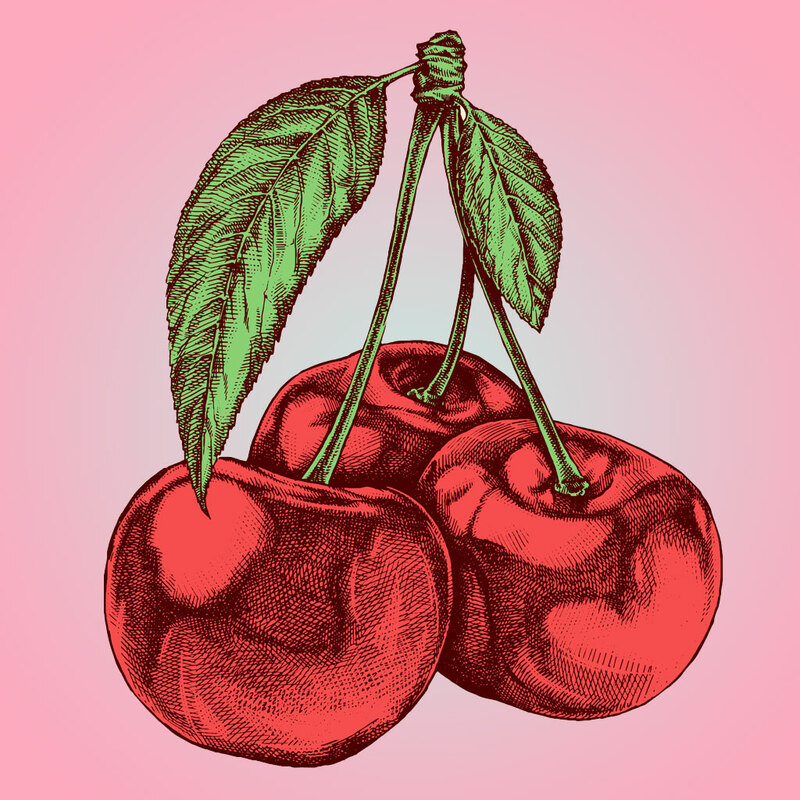 Cherries are kriek’s raison d’être, so it makes sense to make them the focus when you’re choosing which one to go for. You’ve got a couple of stand-out choices, depending on whether you like them sweet or sour. For an uncomplicated sweet cherry hit, the Timmermans Kriek Lambicus is the front-runner. This is sweet to the point of being almost artificial, which some may consider a fault. But if you’re not a fan of the sour, funky notes that other krieks will being to the table, then this is the one for you. If you like your cherries darker with a sour bite, but you’re still not a fan of the earthy aromatics that come with spontaneous fermentation, then go for the Lindemans Kriek. It has a gentle lactic acidity with lends a refreshing note to what might otherwise have been a cloying drink. Perhaps you prefer your cherries to be more restrained, just one taste among a complex swirl of flavours including a Brett funk, a lactic tartness, and the woody and almond aged notes that only a traditional kriek can deliver. If that’s you, pick up some 3 Fonteinen or Oud Beersel. There was a real mixture here. The Kriek Lambicus from Timmermans was the sweetest by far, to the point that it really stood apart from the other krieks in this respect. Coming between these two, the rest all displayed varying amounts of lactic sourness, with the Oud Beersel and the Liefmans being the two that had the best balance between this and the sweet cherry notes. How much funk do they have in the trunk? Again there was a real range. The Kriek Lambicus and the Lindemans Kriek had none. The Cantillon had almost too much, tasting pretty much like straight gueuze with very little cherry flavour in evidence at all. The 3 Fonteinen and the Oud Beersel were perhaps the best examples here, with pronounced earthy aromatics that contributed to the experience but did not overpower. When is a kriek not a kriek? Next we move on to a couple of beers that depart from the traditional style, and push at the boundaries of what might be considered a kriek. The addition of a dark malt character changes the drink quite dramatically, as you’d expect. It introduces a dark, dates-and-raisins note in the case of the Liefmans, whereas for the Cascade the result is a woodier, more tannic creation. The Liefmans tastes like a dubbel plus cherries, the Cascade like a Flanders red. They’re both pretty good, but for me the Liefmans wins out in this context, as it retains the cherry character more than the Cascade, and we are tasting krieks after all. Here are the detailed tasting notes for each of the beers we tried presented in the same order that we tasted them. We kicked off with a bottle of Timmermans Kriek Lambicus. So, that word: ‘Lambicus’. It’s a little red flag; so very much like lambic and yet so very much not lambic. What does it mean? Perhaps it’s a nod to the Brettanomyces Lambicus yeast strain. Or maybe it’s hint that this one isn’t the real deal. The beer poured very clear in the glass, its colour a deep ruby tinged with magenta. It had a fluffy head that was decidedly pink, with good lacing. Straight away its aroma was abundant sweet cherries, tipping over into artificial cherry sweets with an almost plastic edge to it. To taste we found it easy-drinking and sweet but a bit one-dimensional, giving cherries but not much else. It was almost like a cherryade, with a medium-thin body, soft carbonation, and a drying finish. It was certainly pleasant, but it wasn’t what we were after, so we moved on. Lindemans Kriek, in its distinctive bottle with the red foil, was next. This was fairly clear in the glass with more of a claret colour. Again it displayed a creamy pink head and some signs of lacing. Its aroma was dominated by lactic sour cherries, like a ski yoghurt. The taste was a little sweeter, with fruit coming through. There was some lactic sourness to the taste too, leaving a tingle in the back of the mouth and throat. It had a medium body and soft carbonation. Its finish was less drying than the Timmermans Kriek Lambicus. Overall it was soft, sweet and sour, and refreshing. We agreed it would do well on a summer’s day, but while there was more of a balance between lactic acidity and sweet fruit, it felt like a beginner’s kriek again as it lacked the depth of flavour of the best Krieks. Also its finish was very short-lived. I had been looking forward to this one. Cantillon make some excellent lambics but this was my first taste of their kriek. This poured a lighter pinkish carmine, and was hazy with a big head of pink foam. Our first surprise here was the aroma, which had little to no cherries at all. It smelled more like a straight gueuze, in fact. The arrival of some Brett character was a welcome development from the previous two beers. The cherries were also dialled back on the taste. Unlike the previous two, this is not a sweet beer. It displayed a much harsher lactic acidity and an almost aggressively astringent drying finish, which lingered while the cherry flavour – such as it was – dropped off very quickly. The Brett character was slightly woody, slightly green. Natalya compared it to freshly cut flower stems. I was glad to have tried this one but not blown away. I had expected more given Cantillon’s reputation, but this was definitely not one of their better beers. We were all a little disappointed. This one was the first to appear really turbid in the glass, almost to the point of being opaque. It poured dark too, more maroon than red. The head was almost white, with just the faintest pink blush. Its aroma was cherries, Brett funk, and wood. There was a sharp sour note too that seemed more acetic than lactic. The taste was overpoweringly sour: very sour cherries, and an acetic, vinegar quality. It was unbalanced and unpleasant, and it went into the slops bucket pretty quickly for all three of us. Krieks are meant to have lactic acidity, but this was like drinking vinegar. It displayed so much acetic acid it had to be considered an off flavour. This one poured ruby red. It was fairly hazy but less turbid than the Timmermans Oude Kriek. It had a pinkish head with good lacing. Its aroma was Brett funk and tart cherries. To taste it displayed a sour cherry flavour, and was very tart with high lactic acidity. There was a goaty barnyard funk and a faint wood character. While initially quite abrasively tart, this one is worth sticking with as over time it became more gentle, and the cherry flavour became more pronounced. The acidity was still high but it was nothing like the Timmermans Oude Kriek. There’s lively carbonation on opening, and it pours blood red and turbid in the glass with a creamy pink head. I have had this before and enjoyed it very much, but this time it tasted quite different. The sour cherry aroma was present but muted. It had a goaty, grassy funk, and a little wood character perhaps. I could find no almond, though I’m sure I’ve had it in this one on previous occasions. It was sour and tart, but there was no acidic burn like we had experienced with the oude krieks from Timmermans and 3 Fonteinen. Like the 3 Fonteinen, this kriek was another grower; its cherry flavours became more pronounced as it warmed, with whole flavour becoming a little softer and more rounded. This pours brown, almost like a dubbel or quad, but with a red tinge to it. Its aroma is more like a Flanders red with a pronounced funk and band aid phenols, tinged with tannic and vinous notes. It has a light mouthfeel with soft yet prickly carbonation. Its taste is very sour, and the cherry flavour is not hugely evident. The acidity is a mix of lactic and acetic flavours. Natalya found it left an excessive burning sensation at the back of her throat. It has a drying, tannic finish that drops off very quickly. This pours a turbid, ruby-tinged brown with an off-white head. Its aroma has raisins and dates, which really jump out at us after smelling so much sour cherry all night. To taste it has a sour cherry flavour that grows over time balanced by a distinct yet soft lactic acidity. It has a medium-light body with a very short finish. So what did we think after all that kriek? It was an interesting exercise tasting so many of the same style together. I found we had to watch out for flavour overload and becoming blind to certain aspects through over-exposure. At one point we experimented with the old trick of sniffing the back of your hand lead to ‘reset’ your olfactory receptors. It definitely works! It was also surprising how much variation there was within the same style, with some beers being decidedly sweet while others were very much a sour gut-punch of a beer. On this occasion we didn’t find any of the deep almond character I like so much from this style, even from beers where I’ve found it before. But we did notice some flavours developing the longer our beers were exposed to the air. Perhaps these might have come out given more time. Context brings a lot to your perception of a beer. Not just in terms of what you’ve tasted immediately beforehand, but also the wider context of the occasion, what your mood is, and how you’re approaching the beer. Even with eight very different krieks on the table, it’s worth nothing that we were just scratching the surface of the huge variety of krieks available. If I had to pick a favourite from tonight’s tasting, it would probably be the 3 Fonteinen, which Natalya also preferred, although the Liefmans was also a particularly enjoyable beer. If you’ve tried any of these krieks I’d love to hear what you thought of them. Or any other ones that I haven’t mentioned here. Leave your tasting notes in the comments below – or feel free to ask a question if there’s something you’d like to know more about. Just scroll to the bottom and get typing.